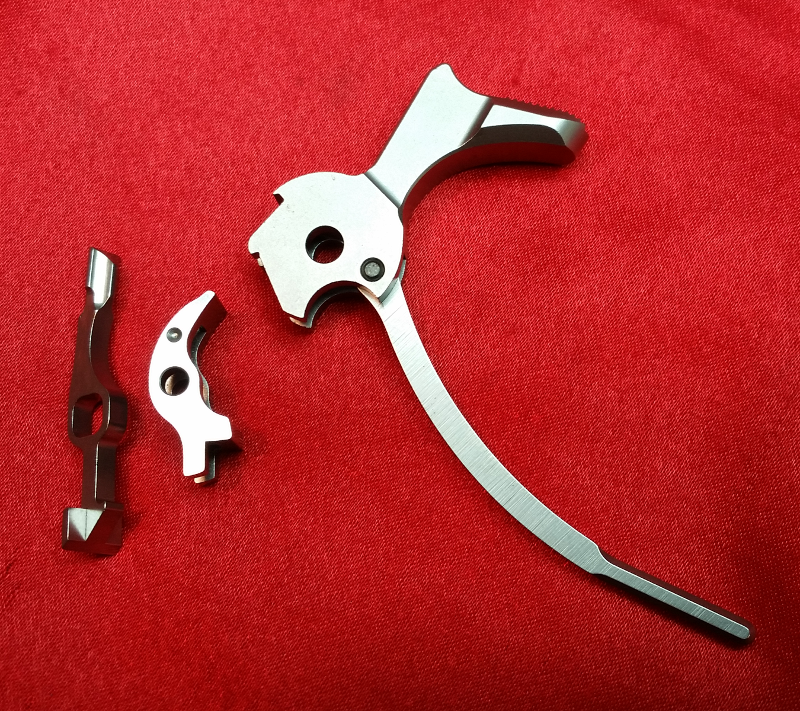 The next hammer in the evolution of the roll trigger kits. 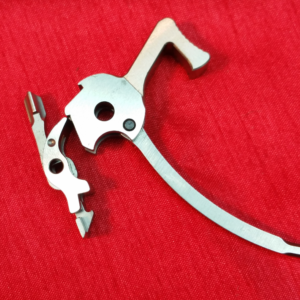 Before the CMP changed the rules in 2015 a traditional spur hammer was required on a “leg” gun. 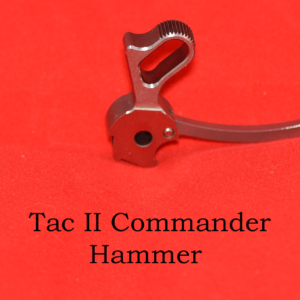 To comply with that requirement, the CMP hammer was developed. 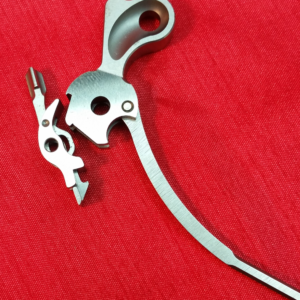 The same proprietary hook geometry is used but with a different spur to make the hammer legal at the time. 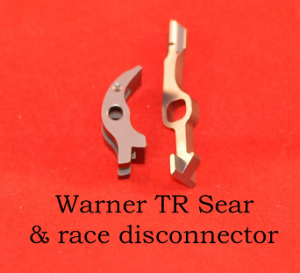 In addition to the hammer a lightweight disconnector and a Chuck Warner TR sear compliment and complete the trigger kit. This kit ONLY works with a standard GI style grip safety. It WILL NOT work with a beavertail grip safety because of the width of the hammer spur.